Determining a child custody arrangement can be one of the most difficult aspects of a divorce settlement. Adjusting to the reality that you may not see your child (or children) each and every day can bring out many different emotions in parents. Mediation can be a useful and effective tool for coming up with a parenting plan that puts your children first and that is reasonable and fair for both parents. Kallemeyn & Kallemeyn specializes in divorce mediation and can focus on developing child reasonable and equitable custody agreements. We can also handle modifications after your divorce is final…everyone that gets divorce with children will need to have modifications. There are many benefits of using mediation to solve any aspect of your divorce settlement, especially your child custody agreement. Mediation is less adversarial than a court battle, which means that parties are generally more willing to make concessions to reach a compromise, rather than digging in at all costs. A court battle can create a win/lose mindset, which is counterproductive when you are trying to find long term solutions that work for you and your children. Mediation takes significantly less time than litigation, meaning that your entire family can move forward more quickly. Focusing your energy on the future rather than the past is helpful for your entire family. Mediation is also less expensive than a court battle, so you can save important financial resources and reduce overall stress. Finally, mediation sets a positive and productive tone for your relationship moving forward. A child custody agreement may need to be changed down the road and mediation is ideal for settling issues that come up related to child custody once a divorce is final. It is difficult at the time of divorce to know just what will come up down the road, so having a framework that is built on compromise can be extremely helpful. 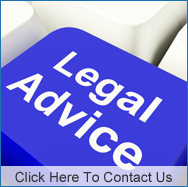 One of our specialty practice areas is family and divorce law. 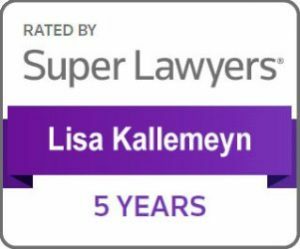 Lisa Kallemeyn has devoted her entire law career to helping families navigate all aspects of a divorce settlement. She is a Qualified Neutral under Rule 114 of the MN Rules of Practice and has more than 20 years of experience as a mediator. Lisa is known to be one of the best child custody mediators in the Minnesota area. For more information or to schedule a time to sit down and talk with Lisa about whether mediation might be a good first step to settle your child custody issues, call 763-427-5131.